Minecraft is a video game, which has become widely popular. 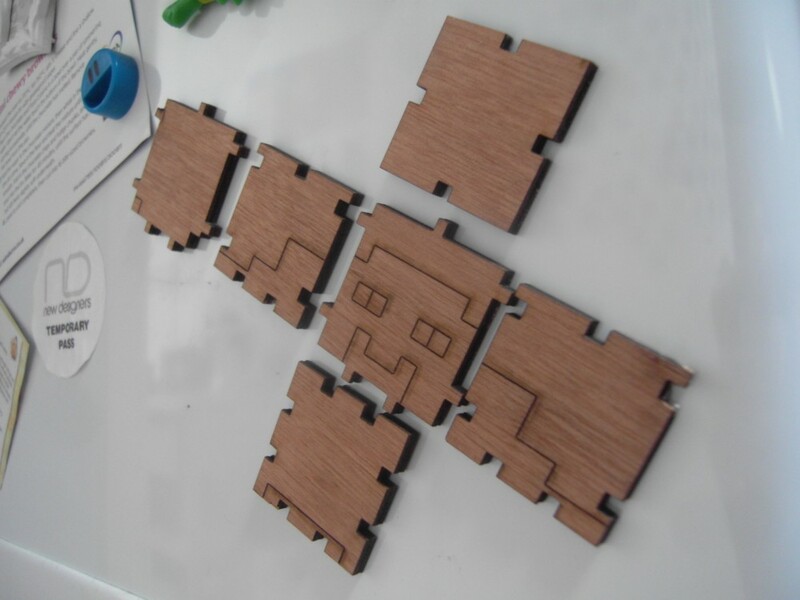 I thought I would try create a laser-cut head based loosely on Steve’s head, the main Minecraft character. 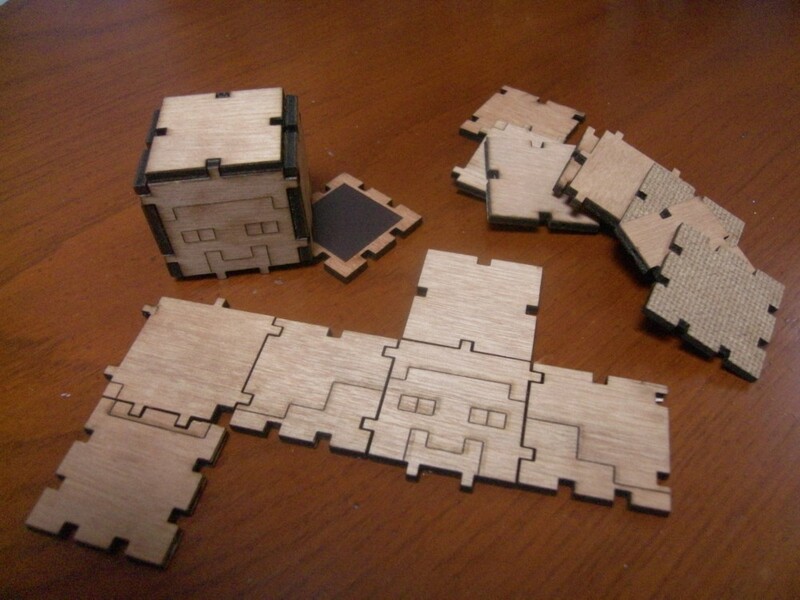 The joints of the pieces did not match up perfectly, but they do build a cube. So I had the idea of adding cutout pieces of a thin sheet of magnet material, which you can easily buy from eBay. I might try painting them, which might give them a different feel.